Playdates. Just the word can make you either cringe or cheer. I’m firmly in the camp of the latter. As a fairly social stay-at-home mom of three toddlers, having a playdate with other moms in the same stage of life is my salvation. Anything that forces us to get out of the house at a prearranged time, or requires me to clean up my own house for company helps break up the routine and add some structure to our days. Sure, they can totally bomb. Your kids are in the wrong mood, you’re in the wrong mood, an unexpected diaper incident has you leaving as soon as you’ve arrived, or the group just doesn’t mesh that day. There have been several playdates where I’ve felt stuck on the sidelines the entire time, chasing after kids, nursing babies, changing diapers, doling out discipline, or sequestered by the snack table while everyone else plays outside (because my kids are somehow ravenously hungry despite having had both breakfast and a snack in the few hours they’ve been awake that morning). But in the midst of it all, sometimes, magic happens. Whether it’s a one-on-one playdate with a good friend or a larger group of moms overrun with too many small children, there are times when it all just clicks. Big kids suddenly remember how to play by themselves, babies sleep in arms, coffee is sipped at its appropriate temperature, and you find yourself in community. The conversation can range from options for preschool to a sale at Carter’s to teething remedies to what’s for dinner tonight and where did you get those pants? The conversation isn’t always deep - usually not, in fact, with all those little feet running around - but it is vital to getting through the rest of the day. (And deep or not, I’m always interested in what’s for dinner.) 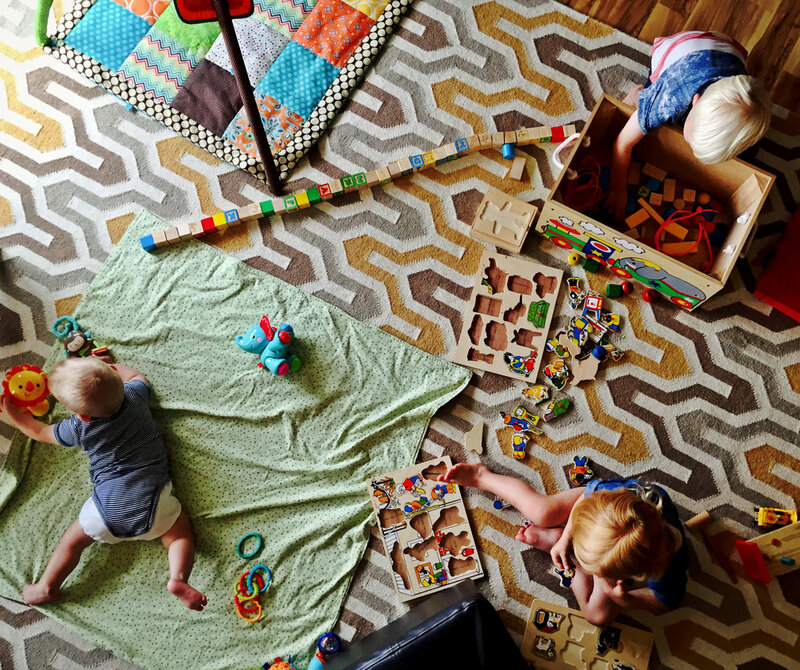 A good conversation can give you the boost you need to get through whatever naptime trials come your way, an afternoon that feels about two hours too long, and the routine chaos of dinner-baths-bedtime. None of us was made to do this all by ourselves. Staying home with small children can feel like its own form of prison, and talking to the Target clerk just doesn’t quite cut it as the only other adult interaction you have in a day. Read more over at the Twin Cities Moms Blog!